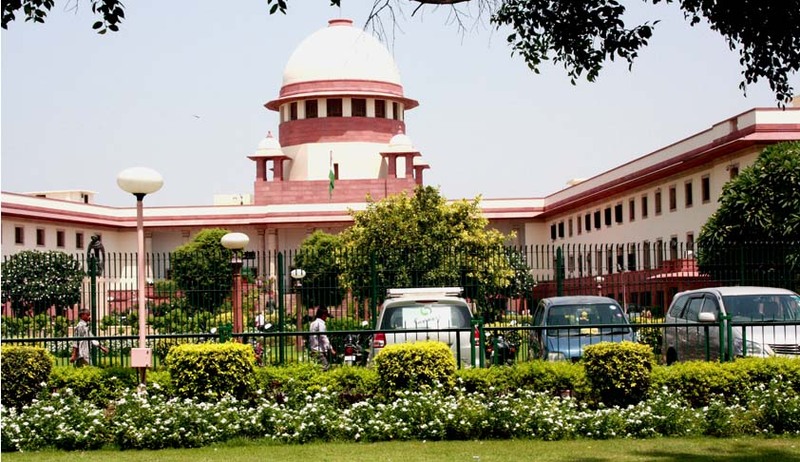 A Supreme Court bench comprising Justice Amitava Roy and Justice R K Agrawal today recused itself from hearing the plea of BJP leader Subramanian Swamy issuing a non-bailable warrant against him for failing to appear before it in a case of alleged hate speech. The bench headed by Justice R K Agrawal referred the matter to another bench saying, "If it has to come before another bench, why apply mind. List it before another bench on June 22." In the meantime, the bench has refused to pass any interim order. However, it allowed Swamy to mention it before Chief Justice H L Dattu after Jethmalani sought permission.The Non BailableWarrant was issued on June 1 by a court in Karimganjin Assam on a complaint accusing him of allegedly delivering an inflammatory address on March 15 at Kaziranga University. This court had ordered that the arrest warrant be compiled with by June 30. Previously, on May 21, a judge of the apex court had recused from hearing his plea challenging the validity of some penal provisions relating to "hate speech".In his petition, Swamy had said "Karimganj has a majority Bengali-speaking population with close ties to Sylhet in Bangladesh. It is isolated from the rest of Assam and is dominated by illegal Bangladeshi migrants who are hostile to Assamese speaking majority of the rest of Assam; and the petitioner has apprehensions for his safety when he appears in Court there. ""The instant Writ Petition...Comprehends a challenge to the vires of Sections 153, 153A, 153B (dealing with offence of rioting), 295A (outraging religious feelings), 298 (uttering words with deliberate intent to wound the religious feelings) and 505 (making a statement to cause incitement) of the IPC, all of which deal with the offences popularly labelled as 'hate speech'." Swamy had claimed that in the past few years, these sections have been invoked against him, "sometimes malafide and maliciously, by various authorities to penalize him for his clear-headed extensive research and his ideological beliefs and thereby make him conform to the norms of certain special ideological and religious groups. "At least five recent FIRs or summons have been issued against him from Delhi, Mumbai, Karimganj, Mohali in Punjab and Thrissur in Kerala, for "presumed hate speech", he alleged. “Under the Indian law, hate speech is a speech, gesture or conduct, writing or display which is forbidden because it may incite violence or prejudicial action against or by protected individual or group,” he added.